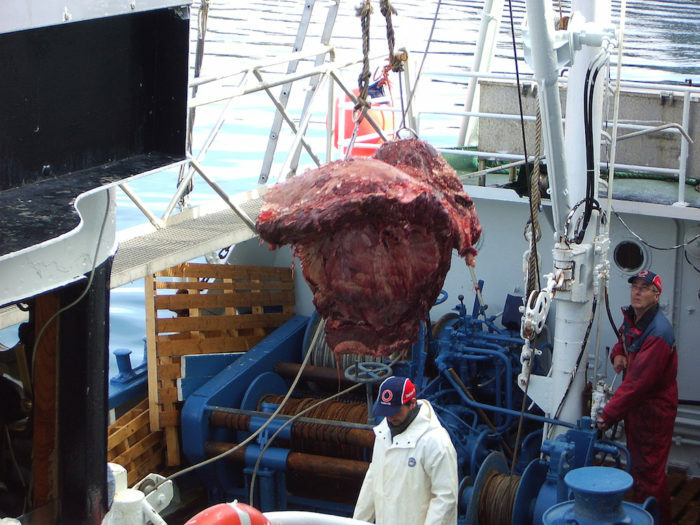 EIA is delighted that the European Parliament this week sent an unequivocal message to Norway that it must stop whaling and exporting whale meat to Japan. The resolution passed on Tuesday (September 12) clearly emphasising the EU position with regard to the cruel and unsustainable practice of whaling. As well as the clear call to Norway to end its whaling activities, the move also sent a strong message to the European Commission that steps must be taken to halt the transhipment of Norway’s whale meat exports to Japan through EU ports. EIA Director Jennifer Lonsdale said: “This is an important resolution as the EU plays a key role in protecting whales, dolphins and porpoises in European waters and internationally. In February, Norway increased its 2017 whaling quota to allow up to 999 to be killed. In addition, the Fishery Ministers of Norway announced he wants to see the annual quota doubled in the near future – despite falling demand for whale meat in Norway. EIA, in collaboration with six other European NGOs, wrote to MEPs calling on them to support this important resolution and to reject any proposed amendments that would have weakened it. “It is particularly pleasing that MEPs responded by rejecting weakening amendments and adopted this important resolution,” added Lonsdale.